NursingCAS simplifies the admissions process by allowing applicants to complete a single online application to multiple programs of interest while still allowing nursing schools to collect their custom criteria. NursingCAS.org acts as the portal to the application where applicants can find information about how to apply, what questions are asked, admissions requirements, and how to get help. Schools access applications, data, and supporting materials such as transcripts submitted via NursingCAS through secure web-based admissions software, called WebAdMIT. WebAdMIT includes tools for scoring candidates based on custom criteria, tracking interviews, conducting an online review of applicants, calculating GPAs, sending and tracking applicant communications, creating queries and custom reports, and exporting data to import into internal systems. 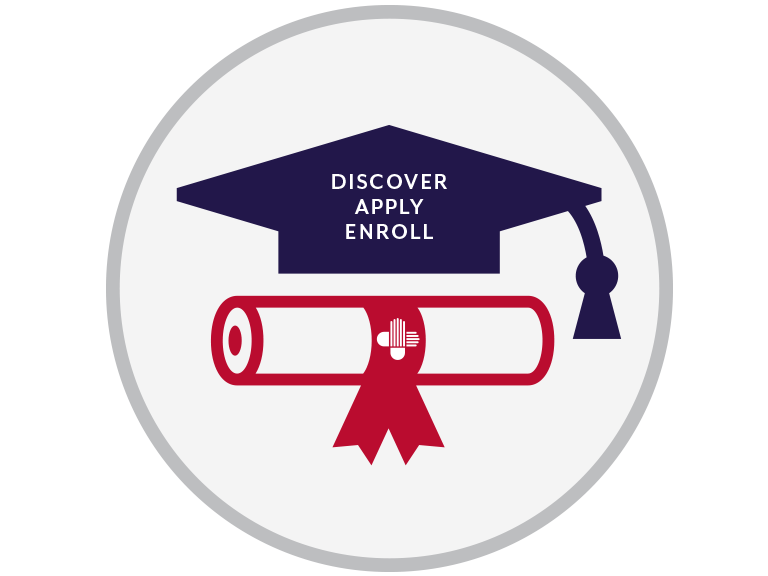 Once directed to the application login page, prospective students can create an account, select programs, and begin the application process. Applicants pay a nominal fee to use the service and have access to resources to help inform them about potential programs of interest including the monthly newsletter, the applicant events calendar, and the school directory. Below is an interactive example of the application. It is split into four sections; Personal Information, Academic History, and Supporting Information are considered core application sections that collect common data for all programs. Program Materials is where program specific information is collected including custom questions, document uploads, and prerequisites. The example below allows you to click through each section to see what is asked on the application. Our guide to the applicant experience lists all the questions and sections. Participating schools also have access to unique comparative reports that show how your school’s applicant pool compares to the overall applicant pool which can assist with benchmarking and informing recruitment strategies. Additionally, the system helps schools to facilitate a holistic admissions review. Participation in NursingCAS is free to accredited schools of nursing, whether they are a member of AACN or not. Programs eligible to participate are those that grant RN diplomas, associate, baccalaureate, master’s, or doctoral degrees. Programs must have or must be seeking accreditation from a nursing accrediting body recognized by the U.S. Department of Education. Interested in joining NursingCAS? Below are a few initial recommendations. Determine the internal stakeholders at your school. Schedule a stakeholder meeting with NursingCAS staff. Review and submit the NursingCAS Participation Agreement (non-binding). Determine your Primary User(s). The Primary User is responsible for program set-up and acts as the first point of contact. Begin program set-up using the Configuration Tool in WebAdMIT. You will have the ability to customize eachof the programs you post on NursingCAS. Finish program set-up and conduct the final review. Ensure that you have posted information on your Website and updated other materials to inform applicants about NursingCAS. Attend training offered via Webinar, on-demand courses, and videos.